Boasting the highest torque output of any golf rotor on the market, the G84B’s patented gear drive will push through anything that gets in its way. Try it yourself and see. With just one rotation of the turret by hand, you can clearly feel this rotor’s formidable durability. With a powerful core, an array of efficient nozzles, and true full circle and convertible part circle capabilities, the new G84B golf rotor is built to perform. 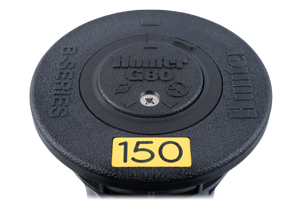 Choose from the wide assortment of efficient wind-fighting 22.5° standard trajectory nozzles or, the 15° low-angle trajectory nozzles. Either way, there is a perfect match for your unique course conditions and problem-solving needs. 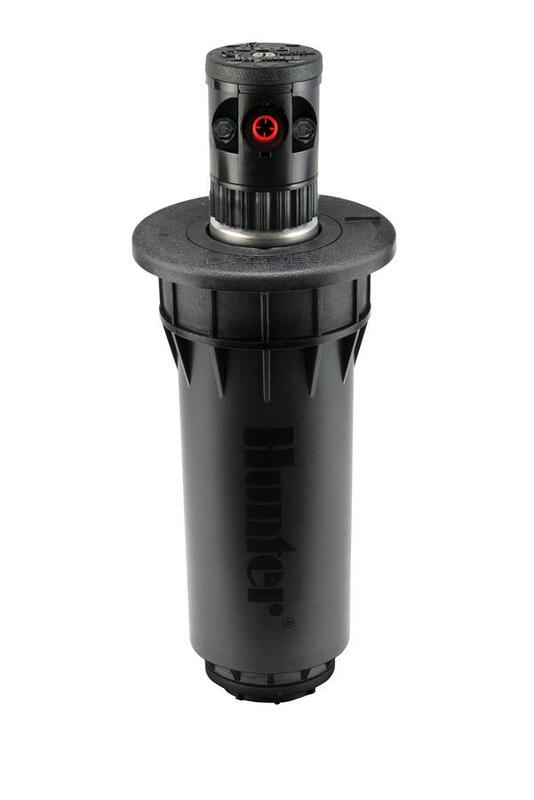 Regardless of the version you choose, changing nozzles is fast and easy with Hunter’s exclusive QuickChange™ technology.